The eternal first preference: Goa– Located near Mumbai, the hub of the Indian film industry; Goa is the first place that every married couple wishes to visit for their honeymoon. With long walks on beaches and lazy evenings, Goa is the perfect place to relax. The best part of Goa is that it is full of beaches and not every beach has the same atmosphere. There are some beaches, which are generally more crowded than the others while there are others, which boast of a calm and tranquil atmosphere. If you want to party hard and blend in with the crowd, you can always opt for the more popular ones, but if you want to spend a lazy time, conversing with your beloved, soaking in the sun, then hit the quite ones. Goa has an active nightlife. There are many pubs and clubs like Tito’s or Mambo’s, which you can try out to get a taste of the all nightlife. If you want to indulge into some harmless gambling, then there are casinos at your disposal. Gambling is legal in Goa, so just go ahead and try it out! As for your daytime activities, make sure that you take a sight-seeing tour into the main city of Goa, Panjim and check out the churches. The architecture is beautiful and is worth gawking at. 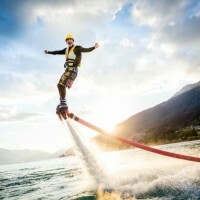 You can also indulge in some beach time fun with water sports. There are hordes of water sports being promoted on the beaches like windsurfing, water skiing, scuba diving, etc. If you are not comfortable with trying out water sports, then you always have the age old fun option- swimming! There is no dearth of activities when in Goa and you will definitely have a romantic time taking in the beauty of the countryside and engaging in fun activities. 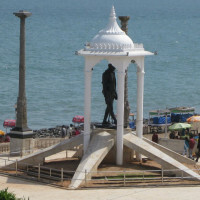 Give Puducherry a shot- Another favourite of the top 5 honeymoon destinations in India is Puducherry. This union territory, which was previously known as Pondicherry, was once a colony of the French. This is something that one will experience the moment one enters Puducherry. Houses modelled on French style architecture line the streets, making it one of the most beautiful places in India. You can enjoy the beautiful beach and take a long walk on it. Try and stay in one of the hotels near the beach so that you can see it from your room. Aurobindo Ashram is one of the major attractions of this place. There is the Pondicherry Museum as well, which you can pay a visit to. Do not forget to visit Auroville for a calm and tranquil experience. Take your beloved to the hand-made paper factory to learn how it is all done. There is a shop along with the factory, which you can visit to buy some amazing hand-made paper stationery items at extremely pocket-friendly prices! The plus point of Puducherry is its food. It is simply delicious and surprisingly not so expensive. Puducherry offers you great scenic beauty, amazing souvenir items and lip smacking good food, in short, it’s a complete package. Head to the hills: Darjeeling- If you do not want to opt for the sea, then visit the “queen of hills,” Darjeeling. Situated in the laps of Kanchenjunga in the state of West Bengal, Darjeeling is an all time favourite honeymoon destination. There is not much to do in Darjeeling but to laze around, which is one of its major appeals. Take a stroll around the mall area to soak in the spirit of the place. Take a walk down the paths leading to the mall, and you will run straight into the zoo, and the Mountaineering Institute, which are a must visit when you are here. It is imperative that you have your breakfast at Keventer’s at least once and do not forget to indulge in the goodies of Glenary’s. In addition to the great food and the perfect atmosphere, if you get the chance to see the range and the Kanchenjunga Peak, then it will make the perfect honeymoon for any couple. Try some colour: Rajasthan- If you have substantial time for your honeymoon and do not mind travelling around a little bit, then definitely go for a tour of Rajasthan. 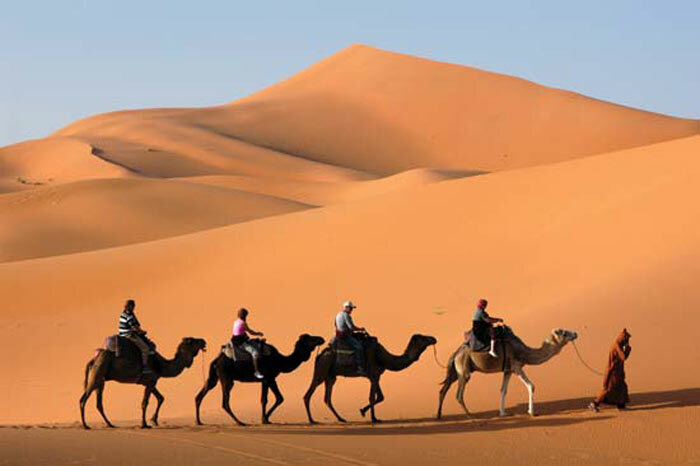 The desert countryside with a spattering of coloured dots, local people, has a beauty of its own. 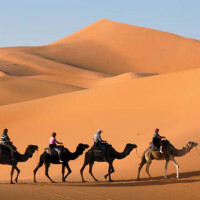 Make sure that you visit Jaipur, Udaipur, Jaisalmer and Chittor. It is a huge state to cover in one-go so probably you will have to come back here again for your second honeymoon! 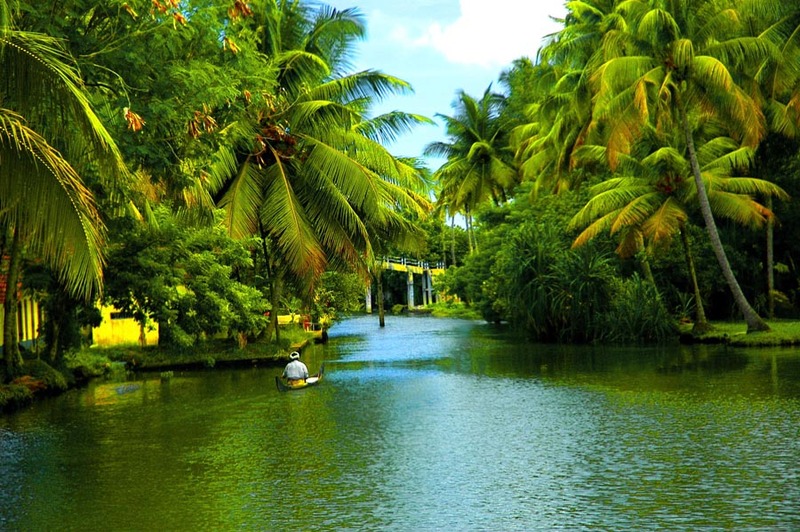 In the plantations of Kerala– Kerala, also known as “God’s own country,” is famous for its breathtaking scenery. Houseboats, plantations of coffee, spices- whatever you wish for you will find here. The best way to spend your honeymoon would be to rent a houseboat and laze about in the backwaters of Kerala and exploring the raw natural beauty of the place. You can also treat yourself and your spouse to a soothing spa session. Kerala is the best place to go if relaxation in the key purpose of your honeymoon. Now that you have an idea about the top 5 honeymoon destinations in India, you can take a pick, which is best for your requirements. You can book the tickets and make all the arrangements and then surprise your partner with an all planned honeymoon trip, ushering each other into the journey of life, together.